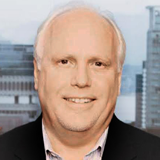 Jim Pettit, President and CEO. 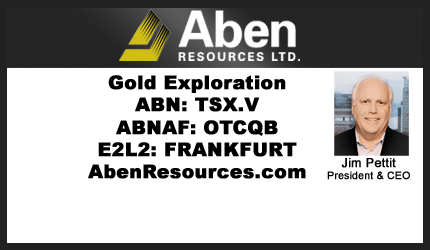 Aben Resources Ltd. is a publicly traded Canadian GOLD exploration company with significant projects in BRITISH COLUMBIA, SASKATCHEWAN and the YUKON. Aben’s 23,000 hectares FORREST KERR GOLD PROJECT is located in the heart of a region called the GOLDEN TRIANGLE in northwestern BC. This region has hosted significant mineral deposits including: Pretium (Brucejack), Eskay Creek, Snip, Galore Creek, Copper Canyon, Schaft Creek, KSM, Granduc, Red Chris and more.